He’s been a breakout star since he could bark, a faithful sidekick to his Inhuman masters, and has helped protect an empire. 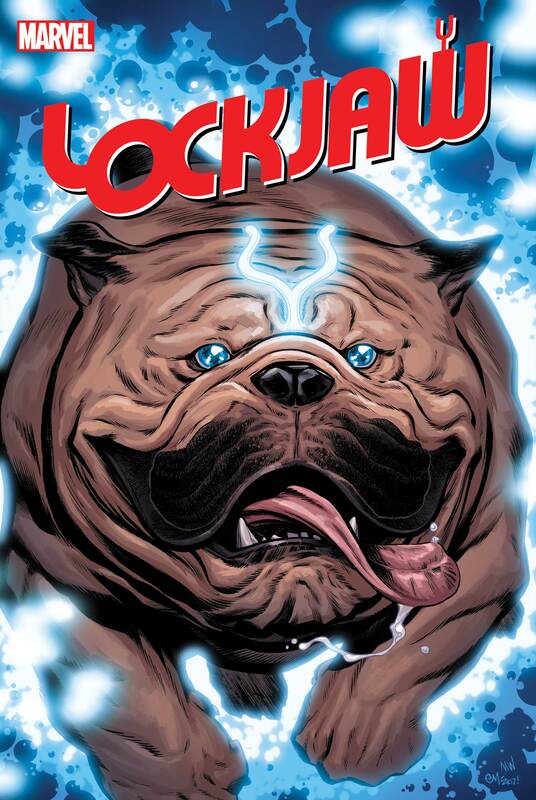 Now, he’s got his own mission to take on — Marvel is excited to announce LOCKJAW #1, a new four-part mini written by Daniel Kibblesmith with art by Carlos Villa. You heard us: Grab a leash, prepare your mind, and teleport along with Lockjaw when LOCKJAW #1 hits comic shops this February!